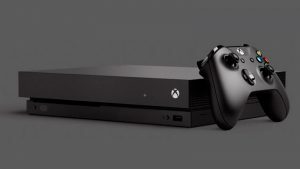 The Xbox One X has been the talk of the industry this week as Microsoft finally opened pre-orders and announced a fancy Project Scorpio Editon of the console which. With the console’s extra power comes the opportunity to deliver visuals which outmatch the older Xbox One console. 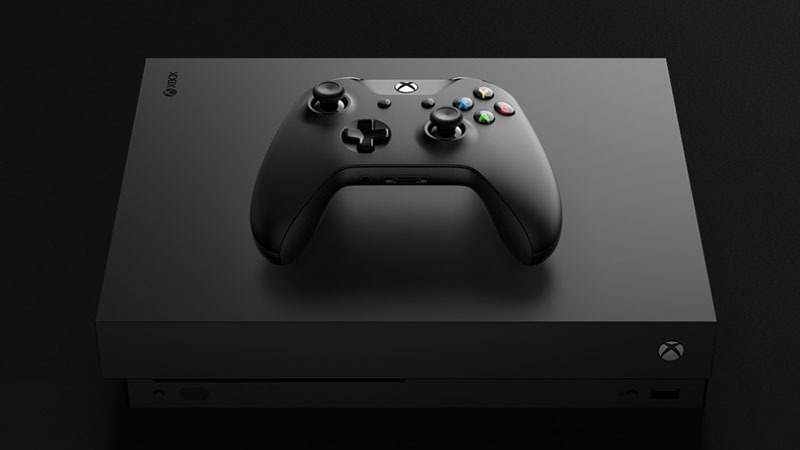 Microsoft has been pushing heavy on the fact that the Xbox One X offers a “true 4K experience”, and there is no doubt that games will look fantastic thanks to that and the ability to output HDR. With that being said, take a look at 10 games that will surely offer the best experience on the console. There is no doubt that the ID Tech Engine is one of the best in the industry and it keeps on getting better. DOOM was a huge success and most parts of that were due to the sheer amount of polish in the game’s features and visual fidelity. Wolfenstein 2: The New Colossus will stand as yet another benchmark for the engine and with the power of the Xbox One X, will deliver high-end PC quality on the console. I am sure many gamers simply cannot wait to destroy some Nazi scum in 4K. I remember playing Gears of War 4 on PC rather than Xbox One and it was a fantastic experience that offered a true 4K example of how stunning the Unreal Engine 4 is. The Xbox One X will now bring those enhancements to console gamers and add in HDR that will bring the game to life like never before. While the exact improvements are still a mystery, I am sure that GOW4 will look fantastic nonetheless. Forza Horizon 3 is by far the best Forza game ever created and the outback pushed the expectations to another level when it came to visuals and the sheer amount of detail put into an open world racing game. The thought of it being enhanced for the Xbox One X in a higher resolution with HDR and perhaps improved visuals all-around makes me excited to get back into the game. I played it on PC and it was a true masterpiece and I am sure the Xbox One X will offer the same experience. Ori and the Blind Forest was one of the greatest games ever released on the Xbox One and its unique water paint art style and the superb soundtrack was a combination that truly stood out amongst the other games on the system. When Microsoft announced a sequel it was a big deal and now with the Xbox One X coming out, I am sure they are working hard to make sure that the game reaches max potential like 4K visuals and enhanced performance. While Super Lucky’s Tale has already been out on HTC Vive, the VR-less experience might offer a classic platforming experience due to the lack of VR for it. Super Lucky’s Tale could be Microsoft’s answer to Crash Bandicoot, and while I know that is a long shot, it could still offer a similar experience. The power of the Xbox One X will make sure if anything, that the game runs as fast as it can and at the highest resolution possible. Crackdown 3 was just recently delayed until 2018 for Xbox One X but that does not mean that we should forget about it. The game is sure to bring about a new level of gaming as its destructive cities and fantastic visuals are added together to offer something that gamers have not seen in this generation. Lastly, its multiplayer is said to redefine how gamers experience co-op in a game. While these are all bold statements, it is going to be great to experience whatever they deliver on the Xbox One X.
Forza Motorsport 7 has been sort of been the mascot game for the Xbox One X and honestly speaking, it is probably the only game we have actually seen running on the console at its true glory. Forza 7 will mark a new step for the series as it runs in native 4K with HDR support, something that only PC gamers have been able to experience up to now in Forza 6 Apex Edition. The Xbox One X will launch with Forza 7 optimized and if you truly want to showcase the power of the console then this is the game you would want to pick up. One of the most popular games right now is no doubt PUBG. Its success is truly something wonderful selling 8 million units while still in early access. Microsoft announced at Gamescom that they will be publishing the game on Xbox One which is great news. While gamers simply cannot wait to play the game on Xbox One, I am more concerned about how great the game will look on Xbox One X. Who knows right now what and how PUBG will look and run on Microsoft’s new console but it does not hurt to imagine. Cuphead has been in development for what seems like forever but its launch in October could not come at a better time as it will be ready to grace the Xbox One X with its presence. Cuphead it a run and gun game that is inspired by a classic art style back in the dawn of cartoons like Steamboat Willie. The game is pretty relentless but it is completely designed by hand and each animation of each object and character has been carefully crafted. I am sure this will look fantastic on the Xbox One X.
Monolith Studios are working to bring us a sequel to the great Middle-earth series. Back when the PS4 Pro was released, the developers of Shadow of Mordor, the first title in the series patched the game to support full 4K on the console. The sequel will be no different as Shadow of War will surely reach 4K on the Xbox One X without an issue. I do however hope that the enhancements don’t end there though and somehow the games overall visual fidelity also sees an improvement.